"You can always create possibilities in your life." 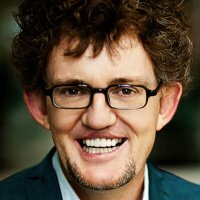 In his excellent self-coaching tool book, Get Unstuck & Get Going, Michael Bungay Stanier talks about how the ability to create new possibilities opens up the choice to take full responsibility for the life you lead. It is all about choice. People feel stuck when they only see one way of doing what they want to do – and they don’t like that option. This book helps you create possibilities, and therefore more choices, to get you unstuck and moving again. As Michael says, when you can see the choices in front of you, you will also see that you are the one with the responsibility to do something. You are in charge of your own freedom, of your own life. 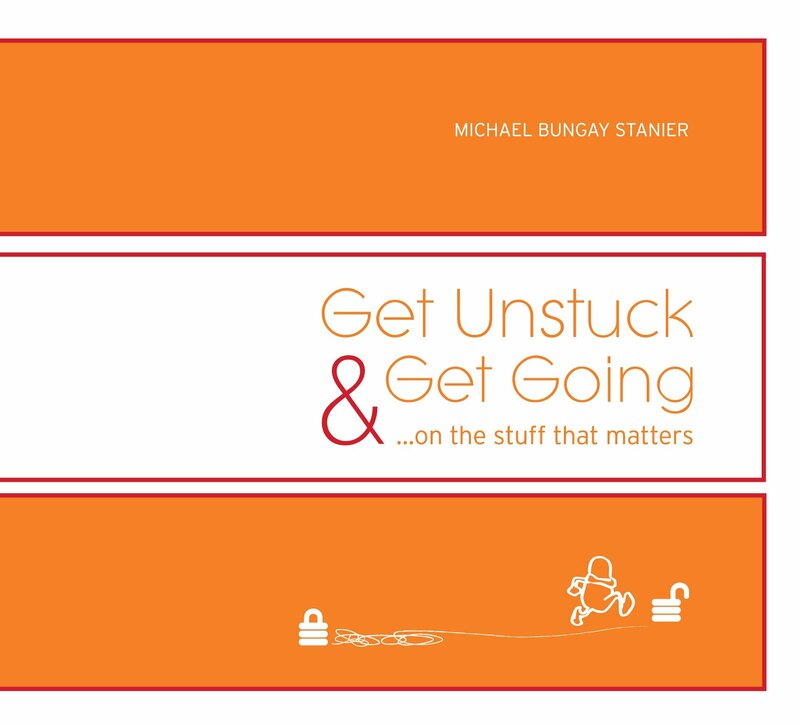 Michael calls Unstuck his funkiest book and it really does have a great format and is a delightful, interactive, read. The book is beautifully designed with bold orange and red colours with impossible-to-rip coated pages and spiral bound. The reason: The book is meant to be used often as a flip-tool, inviting the reader to shake loose of individual mind constraints and open up to almost 50,000 ways to get unstuck. Popular authors like Seth Godin, Gay Hendricks, and Peter Block have all endorsed the tool, and it has won several awards in the self-help and motivational categories. So, how do you go about becoming unstuck? "Focus on ‘Great Work’ – the work that is meaningful, the work that matters to you and to your world." What ideas do you already have? This is the first half of the Action Plan, which is about defining your challenge and generating new possibilities. How can you use the AAS sheet to create possibilities and more choices? "Keep asking yourself ‘and what else?’ until you finally run out of ideas." Inspiring Stories: In 1986 the space shuttle Challenger exploded 73 seconds after launch. The technical cause was found to be a single O-ring. However, another report said, “The greatest mistake…was enthusiasm” – pressing ahead regardless of concerns. What’s your nagging concern? If you stop and step back for a moment, what do you see? Provocative Quotes: “One word frees us of all the weight and pain of life: that word is love.” –Sophocles, philosopher. Who do you love? Who loves you? How does that help? Powerful Models: People are often dismissive about their special talents – “But there’s nothing so great about THAT!” The truth is – There is something great about it, however easily it might come to you. What talents do you have that you are dismissing? How can you fully utilize your talents? It is hard to come up with new ideas when the old ones are still stuck in your head. Michael invites you to shake up your ideas by introducing new ones through provocative questions, and then asking yourself ‘and what else?’ until you finally run out of ideas. So, how do you bring the AAS and the flip pages together? "Ideas aren’t enough to get yourself unstuck. You also need an action plan." By working through the AAS and integrating the ideas and questions garnered by the ‘flip’ pages, you define your challenge, generate new possibilities, and finally create an action plan to do what you want to do. With a little practice this becomes a fast and powerful process: you get clear about your challenge and you build an action plan with built-in accountability. What will get in the way? Who will keep me accountable? Get Unstuck & Get Going made me think about all the areas of my life that I would like to get moving. And, also, the ‘Great Work’ I keep putting off in favour of doing what’s easy, possibly to avoid rejection and putting myself “out there” for others to examine and criticize. Yet, we really do have to let go of fear, unblock ourselves from the reductive thinking that is holding us back, and take the steps that will truly make us happy. Michael helps you get unstuck. Helping people do more ‘Great Work’ is his Great Work, after all. Read the summary of Michaels’s other book Do More Great Work, and check out Actionable’s interview with Michael. How do you plan on getting Unstuck?